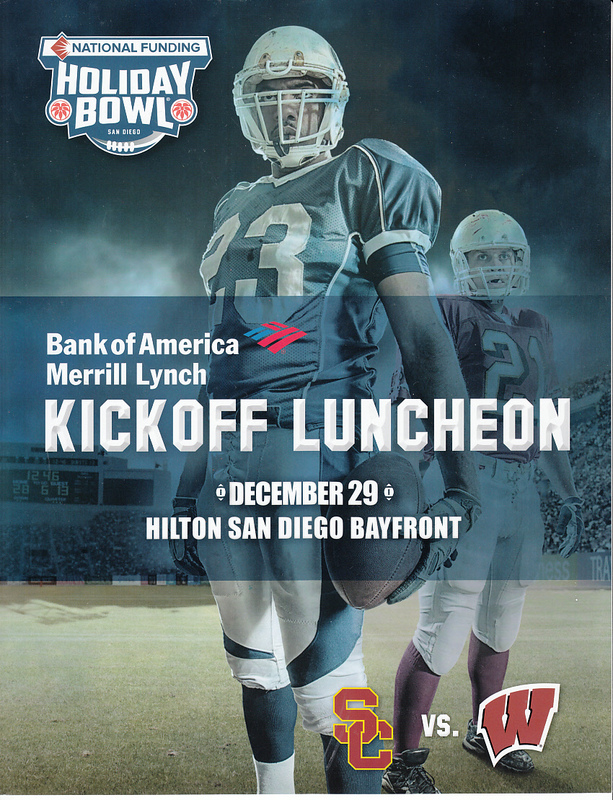 4 page program from the Dec. 29 luncheon held the day before the 2015 Holiday Bowl featured both Wisconsin and USC (the Badgers won the game the next day 23-21). Has very minor handling flaws. 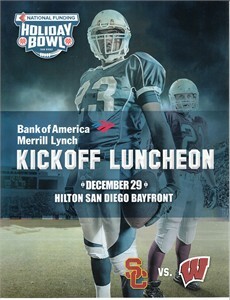 THIS IS NOT THE GAME PROGRAM!